Let’s face it, even software versions of synths can look pretty intimidating. That is the benefit of presets though, right? Well, when the newness wears off like it did with your first crush and you begin to feel restless, then it’s time to break away from the safety of the preset. It’s time to start from scratch and invent your own sound. The only problem is so many knobs, buttons, and options where do you even start? That’s right, right here. And of course, before we dive on in, it’s education time. I am going to start with an original classic. The Moog Synthesizer. Moog started his own business in 1953 selling theremin kits. 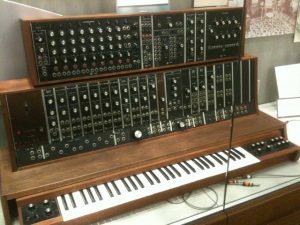 In 1964 the first voltage-controlled subtractive synthesizer to utilize a keyboard as a controller was released. 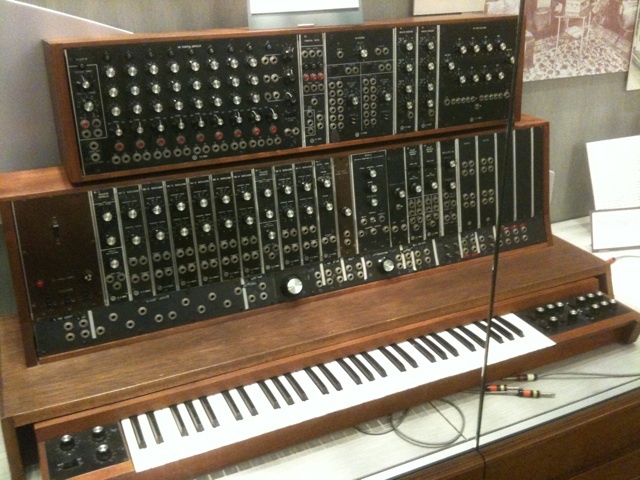 In the mid 60’s Moog’s company led the way in the commercial manufacturing of analog synths. Subtractive – When partials of an audio signal are modified by a filter to alter the timbre of the sound. Starting with a waveform that is being generated by an oscillator, then removing certain frequencies with a filter. Rather than dissect the monstrous Moog synthesizer, we are going to learn the Mini Moog. The Minimoog is a monophonic analog synthesizer, invented by Bill Hemsath and Robert Moog. It was released in 1970. If you would like to follow along you can download a free Mini Moog emulator. This VST plugin is 32 bit and can be used in most DAWs or stand alone. You can get information on its creator on his website. To start a direct download of this plugin just click here. The controllers’ section has 3 functions within it. This is the master tune knob. It provides the tuning for oscillator 1. Glide allows the pitch to transition softly as you change notes. The knob determines the time needed to transition from note to note.